Liberty of conscience - which conscience? The SNP appears spooked by the Scottish Christian Party’s campaign for the second vote. Outsized posters with Alex Salmond’s face have begun to appear in Inverness. It seems that the local candidates cannot make enough of an impression without Alex Salmond’s presence and in one example, outside a designated polling station, the SNP poster announcing “Both Votes SNP” towers over the Scottish Christian Party poster. Possibly the SNP were getting weary of seeing the large, clear Scottish Christian Party posters and our effective campaign to highlight the wasted second vote. This has been a feature of SCP campaigning since the last Holyrood election, and Professor John Curtice of Strathclyde University has identified the Regional vote as the important one. The only problem is that in their attempt to out-do the SCP, the SNP posters are over the legally permissible size! 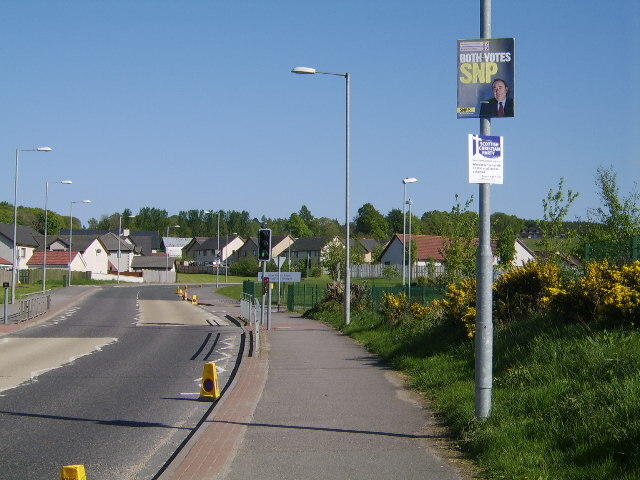 All candidates are given guidance from the Highland Council about its election poster policy which states that “The area of any poster must not exceed 0.2 sq m, and the maximum overall vertical or horizontal dimension must not exceed 500 mm.” In the accompanying photograph, the SCP poster is 0.2 square metres, demonstrating just how oversize is the SNP poster. Someone has decided to flaunt the regulations. As the finishing line draws near, it seems that political parties continue to push the boundaries in the hope that the public will not notice that the law-makers cannot keep within the law. The sad features of the SNP campaign are that not only do the SNP not rely upon their policies to do their talking for them, but Alex Salmond is seen to over-ride his local candidates, and it seems that the poster war depends upon money and a little bit of transgression, neither of which has very much to do with policies - but they do reveal the spirit. Will the public to be impressed with this? Will they simply “vote for their man” regardless? Will you have a SCP candidate in your area? If not, you cannot vote for us - obviously. So if you want a SCP candidate in your area, read about the process here. You do not need to have a PayPal account to make a donation. You can use your credit or debit card to donate - just click the PayPal Donate button and enter your details. The Scottish Government consultation about redefining marriage to include homosexual couples has finished. The documentation is explained here. 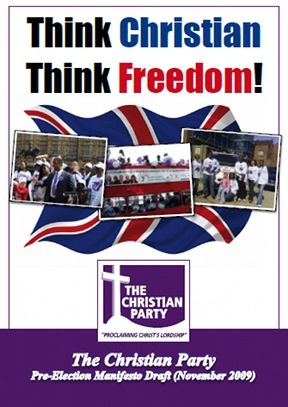 Christians are encouraged to write to their MSPs to register their opposition to any legislation along this line, and to write to the SNP Government to encourage them to drop this idea. We already have polygamy recognised by UK legislation. The SCP response to the SNP Government's consultation is available for download. You can easily let your MP, MSP or MEP know your views. Click here to email them. We will fight for the consumer, forgotten in this climate of spending cuts but rising prices. We propose a radical solution to consumer debt to help the consumer by forcing more prudent lending policies. It is too easy to hold consumers to ransom.